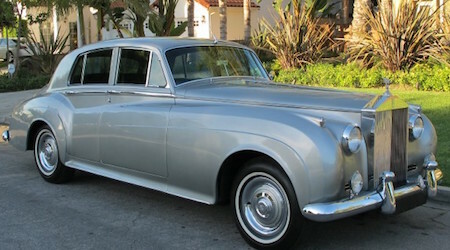 Selling a Classic Rolls Royce? The “Rolls Royce” brand finds its genesis with the initiative of two men: Henry Royce and Charles Rolls. Royce was an engineering genius, while Rolls was something of a sage in the area of marketing. Together the two were a force of nature. Their legendary joint signature first found its way onto the Rolls-Royce 10 HP, which today looks something like an old chair glued to an engine and wheels, but knowing what came after it, you can’t help but stand in awe. Rolls Royce ltd. was born two years after the 10 HP in 1906, and the history of the company can’t be overstated. Rolls Royce ltd. churned out vehicles and vehicle parts for the British military that saw heavy use in both World Wars. They bought out Bentley in 1931 and the two names became united in a way, sharing both fame and mechanical ingenuity. In the decades following World War II they expanded and further entrenched themselves as a popular producer of luxury cars. However, Rolls Royce ltd. eventually fell into financial chaos and the automotive wing of the company broke from the main branch in 1973. “Rolls Royce Motors” remained independent for several years after the nationalization of the main branch, but in 1980 it was bought out by Vickers and later sold to Volkswagen in 1998. After a somewhat murky agreement, the license to the Rolls Royce name fell into the hands of BMW, where it still lies today. Whether inherited or auctioned for or bought straight from the company, if you’re selling a class Rolls Royce then Alex Manos is your man. You’re unlikely to find a more reputable buyer in the Los Angeles area or even in North America. Alex Manos and his expert staff won’t just buy your car; they’ll make it fun and easy and they’ll do whatever they can to make it a positive experience for you. Just present your car, let them size it up, and bam, you’re done. You’ll have a fair price, and if you choose to go through with the sale, Alex Manos will handle the rest. What are you waiting for? Your Rolls Royce isn’t getting any younger, and it might just be time to free up some garage space by handing it over to professionals. Call today and you can believe you’ll get the best price possible. And Tell Us About Your Auto! Classic Rolls Royce – We work with buyers everywhere in the US, so even if you live remotely, We Want To Talk about selling your classic car. I’m Alex Manos, and I love buying classic cars!